I spoke to a reporter from Rolling Stone who is doing a story on the division within the drug reform community over Ohio’s 2015 marijuana legalization amendment. Indeed, the proposal to create both medical marijuana and a taxed-and-regulated adult marijuana market has alienated many supporters of legalization with its assignment of just ten commercial cannabis cultivation sites to the ten investor groups who have funded the initiative campaign. This thing sticks in my craw. Ten business interests are going to dominate this thing? How much longer do we all as activists have a chance to actually influence the shape of this thing? What we’ve unleashed now is for-profit interests, big business interests, with no connection to this movement that are lining up to see what they are going to do about [marijuana reform]. People in government? They’re going to want the oligopoly, too. From their perspective, the fewer number of providers, growers, and distributors, the more big, above-ground, legally regulated interests you have, the easier it is to regulate. At NORML, we honestly thought long and hard, since it’s not a perfect… I don’t like the idea that these rich people get a special advantage. But when we analyzed it, we realized we are a single-issue organization. We are about legalizing marijuana and the two things we most care about is stop arresting smokers, which this proposal does; the second is we want to legally establish a regulated market where we can buy our marijuana from a safe and secure environment. This initiative provides that. I’m not saying those fights aren’t important, but they shouldn’t get in the way of stopping the arrest of smokers. 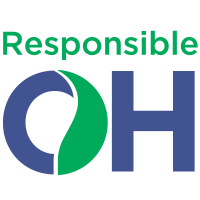 National NORML will almost certainly be endorsing the Ohio initiative. The board endorsed the Ohio initiative with reservation. We always want to do anything we can to help ensure access to medical cannabis for those who need it as well as the elimination of criminal penalties for anyone who owns a plant. That said, legal scholars on the board emphasized that other states have reached these goals without some of the drawbacks of the Ohio proposal. It’s not the bill we would have written. Lately, the people behind Issue 3 (ResponsibleOhio) have further angered professionals in drug law reform by handing legalization opponents an easy target in “Buddie”, the anthropomorphic marijuana mascot with the head of a female flower and the body of a male superhero. “They just handed Kevin Sabet his ‘Joe Camel’ of marijuana on a silver platter,” one NORML board member recently remarked. While I’ve previously been undecided on whether Responsible Ohio’s crazy monopoly model for the legal marijuana market is something our movement should tolerate in lieu of letting the state’s current marijuana laws stay in effect for another election cycle or two, their outrageous “Buddie” mascot pushed me over the edge and tipped me to a solid no on their effort. If their cartel campaigns for legalization so irresponsibly and in a way that positions our side as easily vulnerable to attacks about appealing to kids, how can these people be trusted to manage the industry responsibly after legalization? I don’t believe they can. I still can never support the status quo of marijuana prohibition. I must always support any initiative that takes away from police the contraband status of marijuana that leads to unjust searches, seizures, fines, punishments, arrests, and incarceration. However, the number of tears I’d shed if Ohio’s Issue 3 should fail is growing smaller with every passing news cycle.